New events being added- check the pressroom daily on www.annassecretlegacynovel.com (the official site). Book can be ordered directly from Amazon.com, Borders.com by clicking on the icon on the first page of web site! This entry was posted in Anna's Secret Legacy, Book Blog, Gold, Love Affair, Pilots, Pressroom and events, Scientific Discovery, World War II. Bookmark the permalink. ← Can you fall in love with just one kiss? 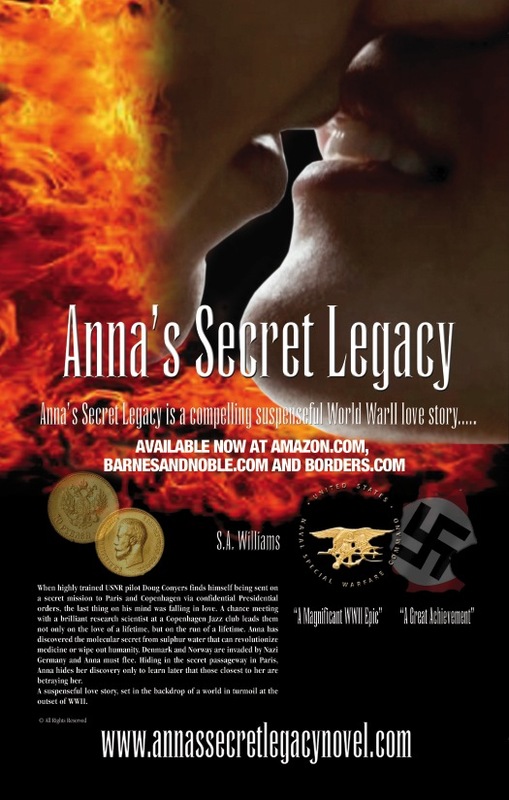 Read Anna’s Secret Legacy Novel now on Amazon!